A prominent government watchdog group is demanding New York officials probe the state attorney general for using former New York City Mayor Michael Bloomberg’s legal group to target energy companies. New York-based Government Justice Center (GJC) filed an ethics complaint Friday against New York Attorney General Barbara Underwood for using two special assistant attorneys paid for by Bloomberg Philanthropies. GJC wants the state Joint Commission on Public Ethics (JCOPE) to investigate the Democrat. “New York public officials are ethically obligated to follow the law and conduct state business without giving the impression of being improperly influenced by others,” Cameron Macdonald, executive director of the GJC, wrote in a press statement attached to the complaint. The ploy was first implemented under Underwood’s predecessor, former New York Attorney General (AG) Eric Schneiderman. “And the extraordinary powers of New York’s Attorney General, especially under New York’s unique Martin Act, are being rented to a third-party special interest,” he added. Underwood’s office was provided two assistant AGs – Matthew Eisenson and Gavin McCabe – to help the state defend against potential environmental regulation rollbacks. The complaint comes shortly after The Daily Caller News Foundation reported in October that McCabe signed an amicus brief in June supporting New York City’s yearlong climate lawsuit against Exxon and Chevron. He’s one of at least eight attorneys hired by attorneys general across the country to work on environmental litigation. 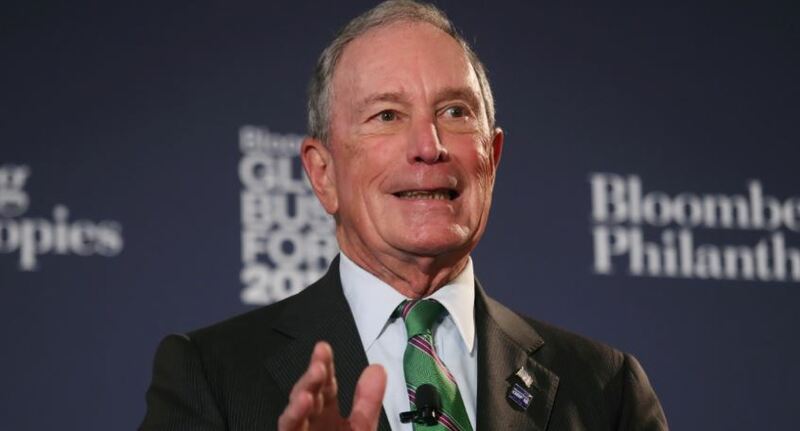 Some critics believe Bloomberg Philanthropies is being used as a type of pass-through entity through which donors can support elected officials with resources that legislatures will not provide and which donors cannot legally provide directly.